Anderman’s photography can be found in the collection of the Denver Art Museum as well as many private collections across the country. His work has been exhibited at institutions nationally and internationally, including DongGang International Photo Festival/South Korea, Mt Rokko International Photo Festival/Japan, Denver Public Library, Midwest Center for Photography, The Dairy Center for the Arts, The Arvada Center, American Mountaineering Center, Denver International Airport, The Museum of Outdoor Arts, The Arts Student’s League of Denver, Carmen Wiedenhoeft Gallery, The Colorado State Capitol, Robischon Gallery, Lamont Gallery, Buttonwood Art Space, and in his own gallery in Denver’s Santa Fe Arts District. In November 2013, Anderman was honored for his unique environmental photography with the inaugural Photo District News (PDN) Duggal Image Maker Award. Anderman currently serves on the Board of Directors of CENTER Santa Fe. 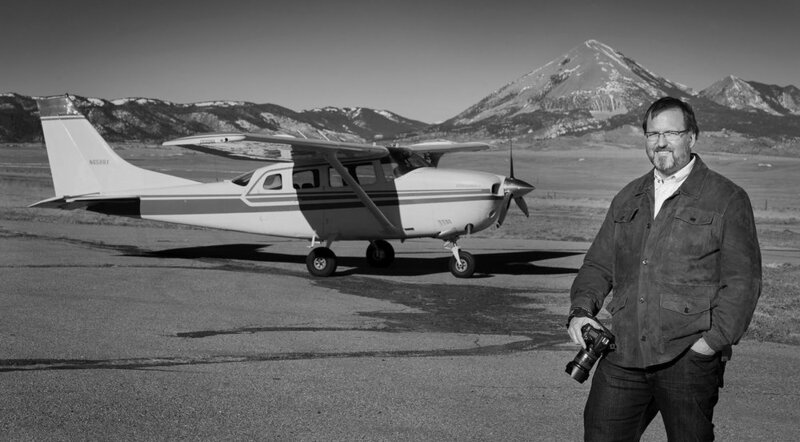 Prior to becoming a full-time photographer, Anderman spent decades working as a geologist, and holds a Master’s and a PhD in Geological Engineering from the Colorado School of Mines and a BS in Geological Engineering from Princeton University.